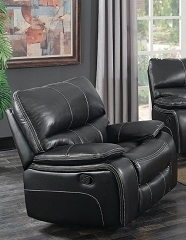 Macpherson collection feature double back cushion design. Top grain leather match with extra cushioned headrest. 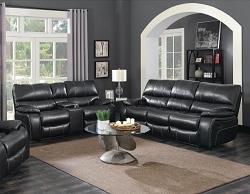 Clean and sleek line design with cocoa bean color give this set a modern flair. Center console in love seat features cup holder and storage. Power motion come with buttons and USB port to charge your favorite device.